One of the perks of my job is that I get to help college students learn how to be great teachers. Numerous times throughout the year, I have the privilege of having practice teachers do training in my classroom. 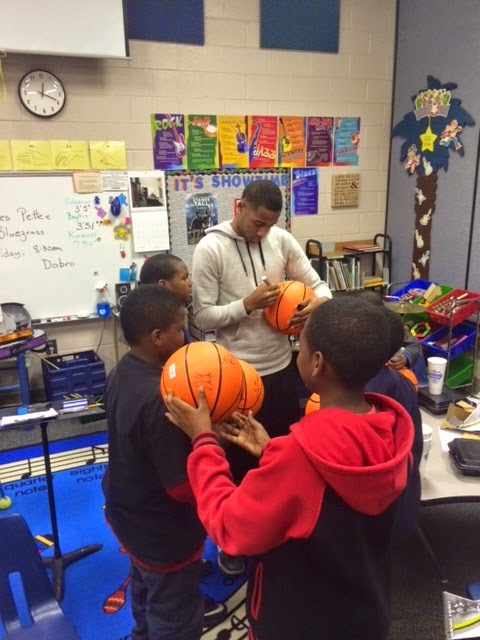 Mr. Jackson, a Converse College Grad student, doesn't need a lot of help. He is a natural. 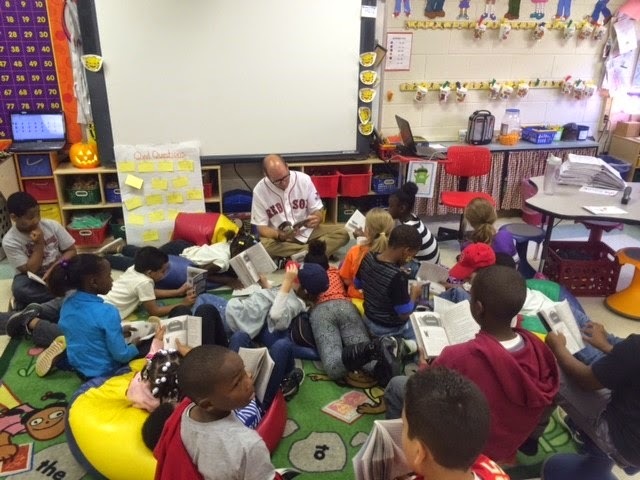 It is so great to listen to him read to the kids. They are hanging on his every word as he reads chapter 8 and 9 of our first ever chapter book, The Haunted Library! 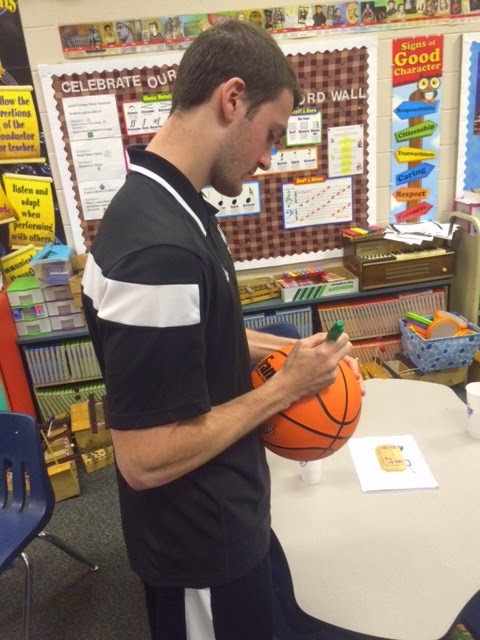 We are lucky to have him with us as he prepares for his future in education! Welcome Mr. Jackson! I know... I know... It's not even Halloween yet, and those annoying people who talk about Christmas already are driving you crazy! I have to start talking about it now though, because this year the 2nd grade program will be Dec. 16th, at 9am and 7pm, right near Christmas. Our show is filled with holiday parodies all about reading and books. You DO NOT want to miss it. We will start practicing for the play starting next week, as it takes about a month to the learn the songs really well. Be on the look out for a CD to come home soon. You will know the songs very well by the time we perform. :) Once December gets here, we will start practicing speaking parts and rehearse on the stage. Today, two of our costumes arrived in the mail, and the kids' excitement just about did them in! They cannot wait! Here is a sneak peek of two of the special guests that will be part of our performance. 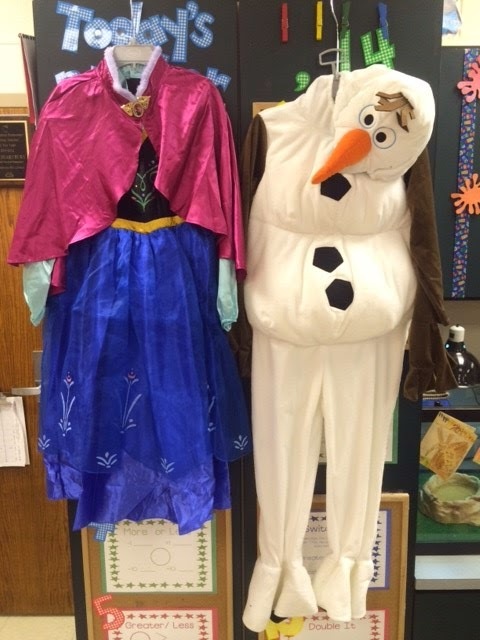 Anna and Olaf will sing along to our Frozen parody, "Do You Want To Read A Story". Mark your calendars now, and invite the entire family to attend this special event! The M.O.D. squad is an fantastic group of boys here at school known as the "Men of Distinction." 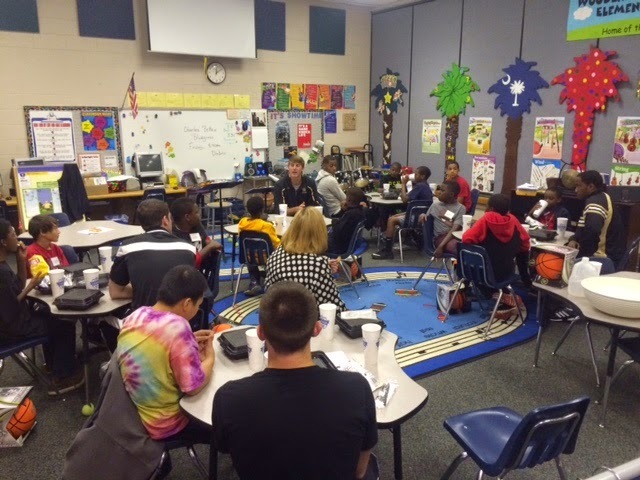 They are a group of boys that I, along with our assistant principal Julie Brown, mentor throughout the year. We have a monthly meeting where we discuss respect, honor, manners, etc. We even learn how to tie a tie and write poetry for our moms! Today was one of my favorite meetings of the year. 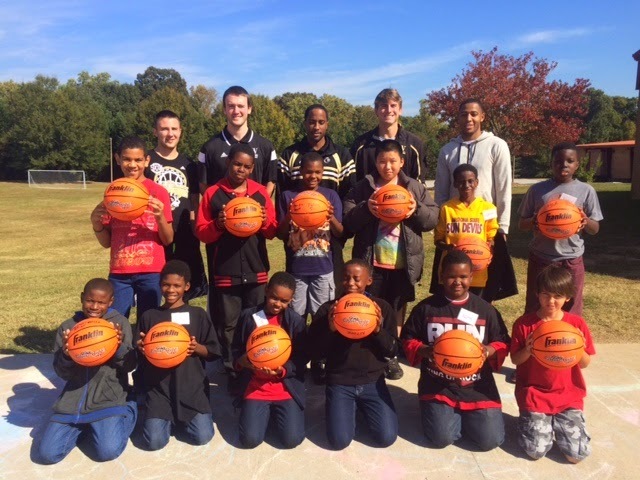 Coach Giltner and members of the Wofford Basketball team joined us for lunch, mentoring, and of course we shot hoops! 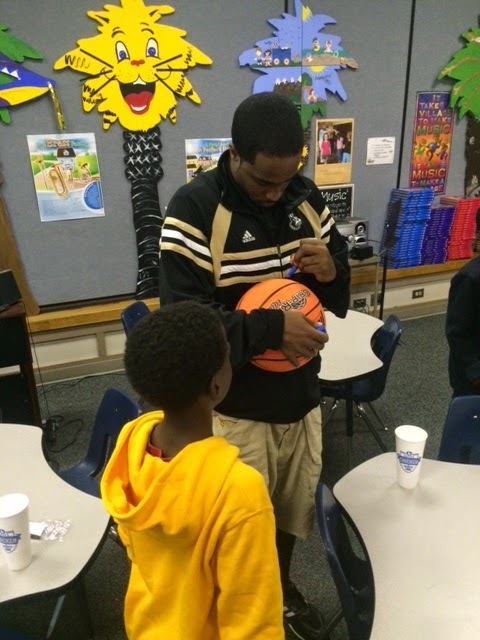 The guys who came were great examples to our MOD squad! They talked about hard work, determination, respect for grown ups, etc. We are already looking forward to a reunion with the team members in the spring after they have an awesome winning season!!! 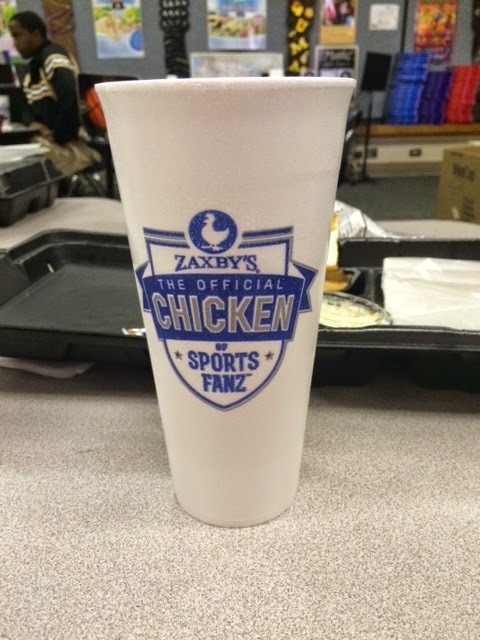 Also, a special thanks to Stuart, the owner of Zaxby's on Reidville Rd, for sponsoring today's lunch. If you eat there, be sure to tell them a big thank from our school! Gotta love that Zax sauce! Last week while in NYC, I was able to travel north to the town of Norwalk, CT. 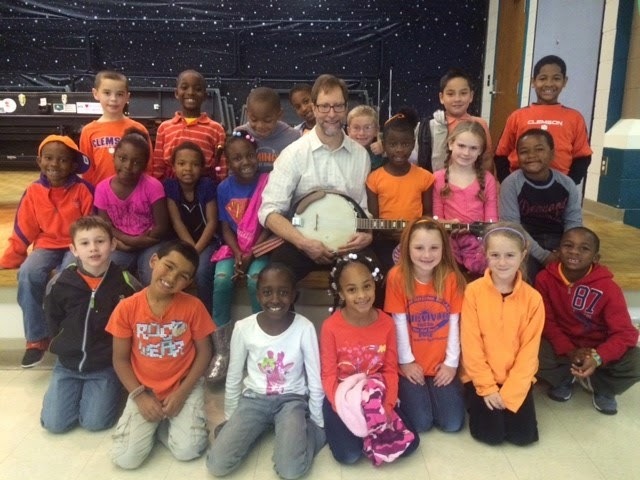 While there, I had the privilege of visiting Columbus Magnet School (CMS). My friend Emily is the principal there so I thought it would be fun to observe the school's routine and "borrow" some ideas to bring back to my school. Man was it a treat! 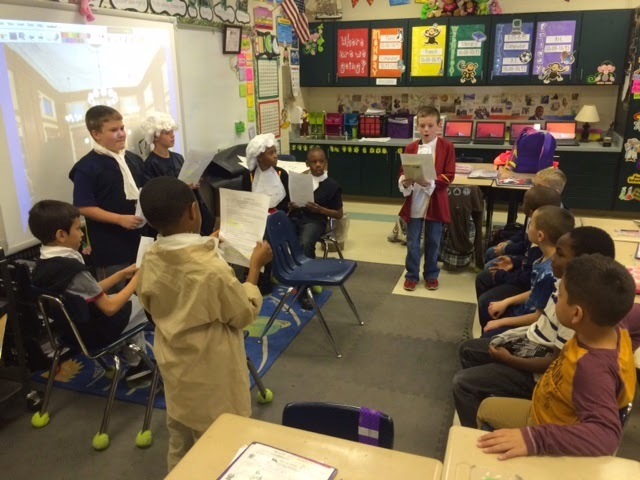 I was able to sit in on their "All School Meeting". It was a fantastic time that the whole school came together and shared about their learning experiences. The family atmosphere of the school was almost tangible. Every kid was a part of the meeting. 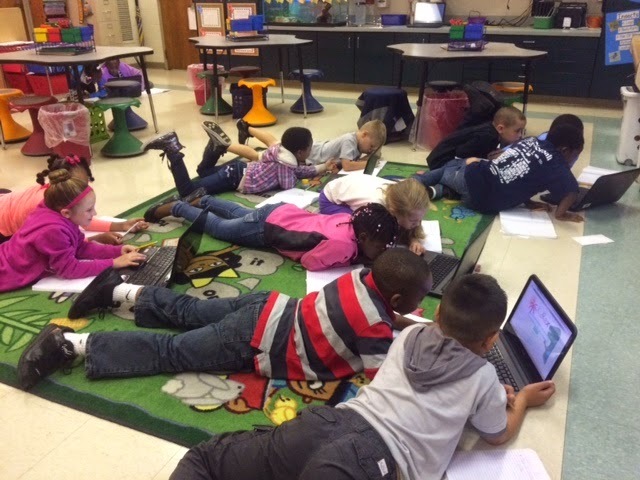 They were engaged, focused, learning, and most importantly...encouraged! I strive to create that same family atmosphere that I saw in Norwalk in my own classroom. We are like a little family in here. I do my best to build my kids up and show them how wonderful they are! My kids are the best around! They are truly a "marvelous" bunch. WE WILL DO MARVELOUS THINGS... YES WE WILL! 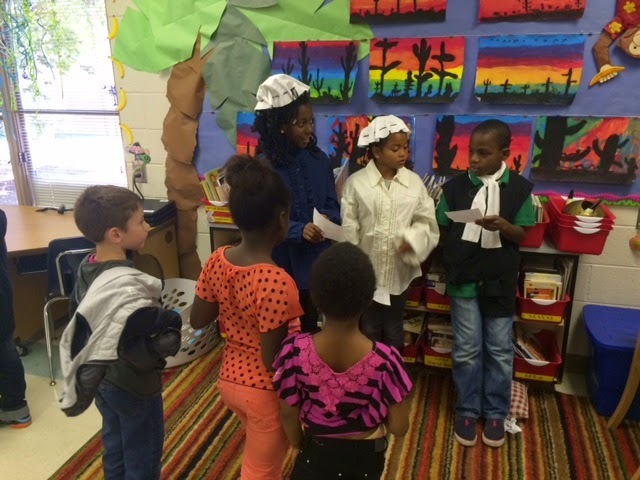 Today our class was invited to the special guests at the 4th grade Colonial Fair hosted by Ms. Bostic's class. 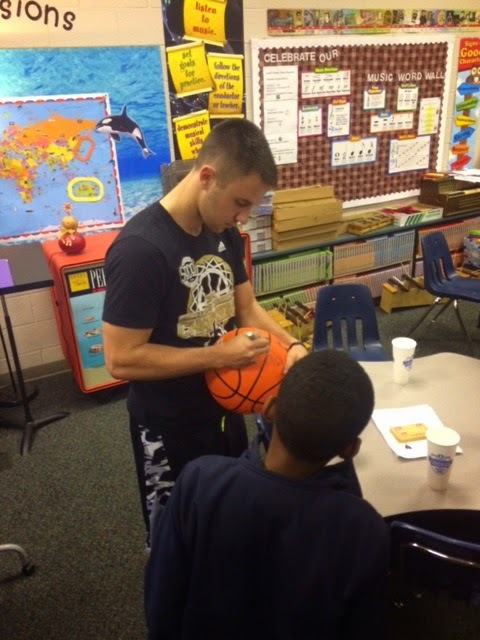 Their student teacher from Furman, Ms. Skow, organized the whole event. 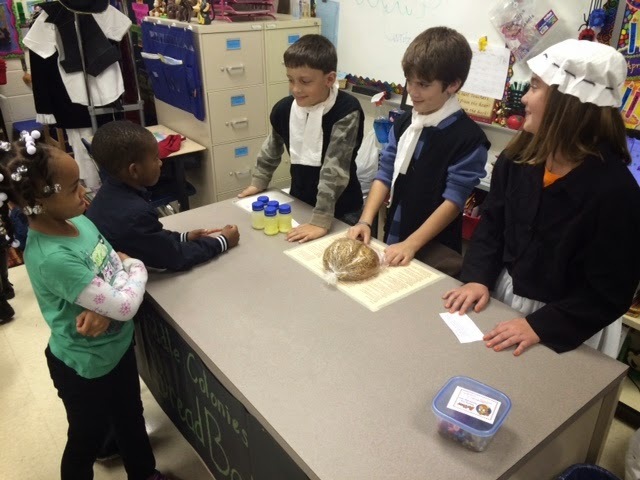 Our class learned about mapmaking, bread baking, butter churning, book printing, and the judicial system from the colonial days. 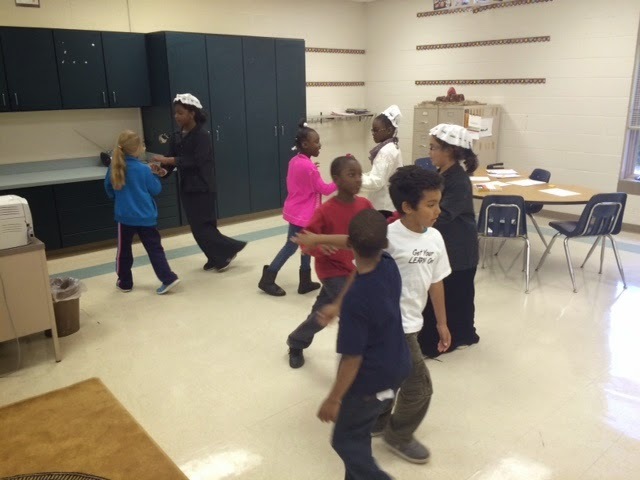 There was even a colonial line dancing session. 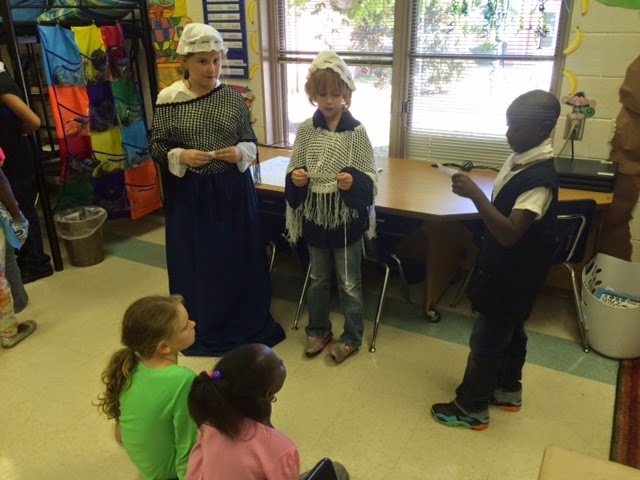 We really enjoyed our afternoon in the 4th grade! 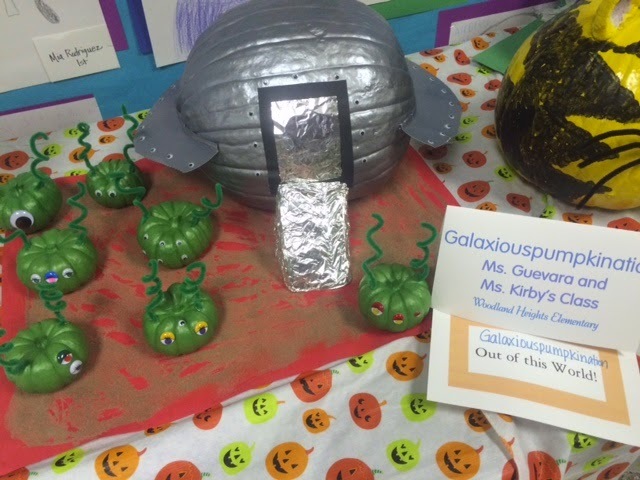 Thanks for the unique learning opportunity 4th grade! 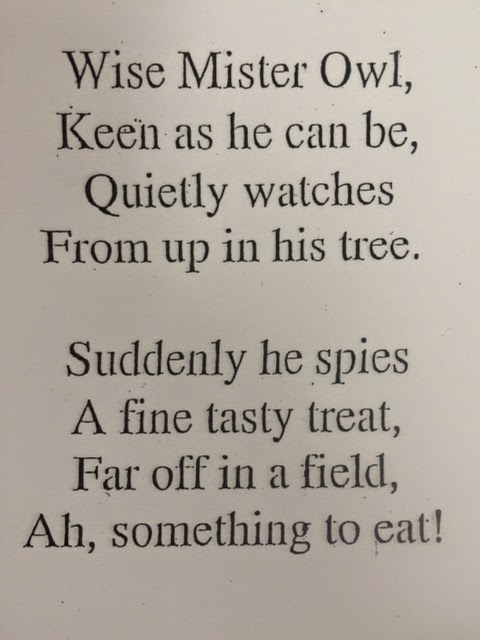 Yesterday, as we read this poem about an owl (predator) and his tasty treat (prey), I encouraged students to think about ways we could use drama to act out the play. 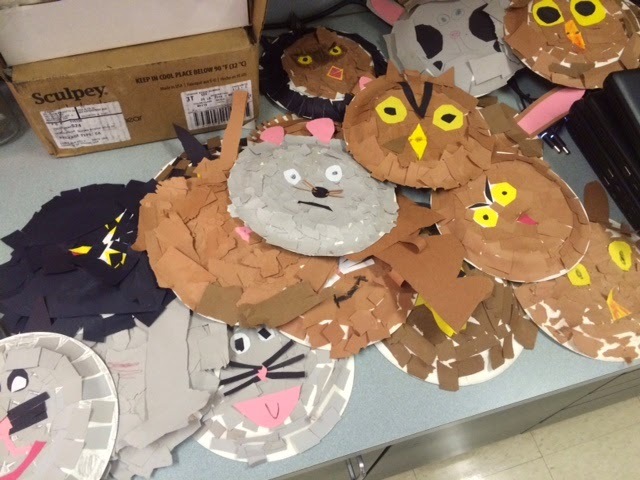 Our school is an ABC (Arts in Basic Curriculum) school so students are well versed in play jargon such as characters, setting, props, etc. 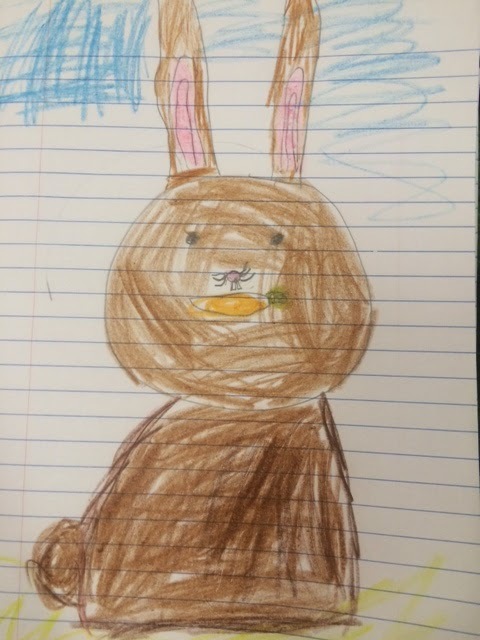 Students immediately recognized that there were 2 characters, the setting was a field, and that we would need a tree for a prop. 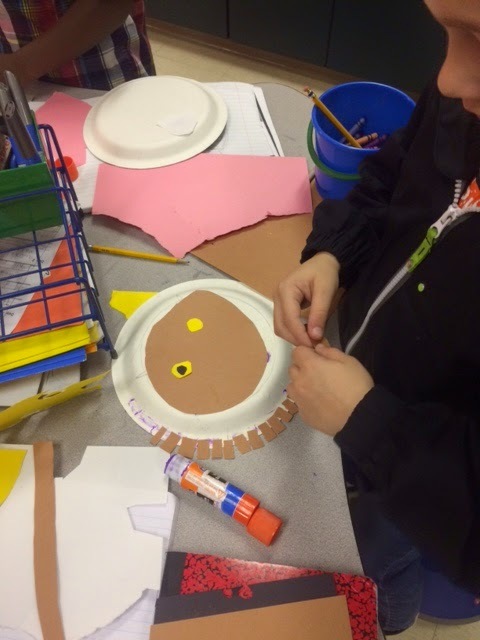 ... today the real magic happened as students' masks came to life! I was so proud of their creativity. 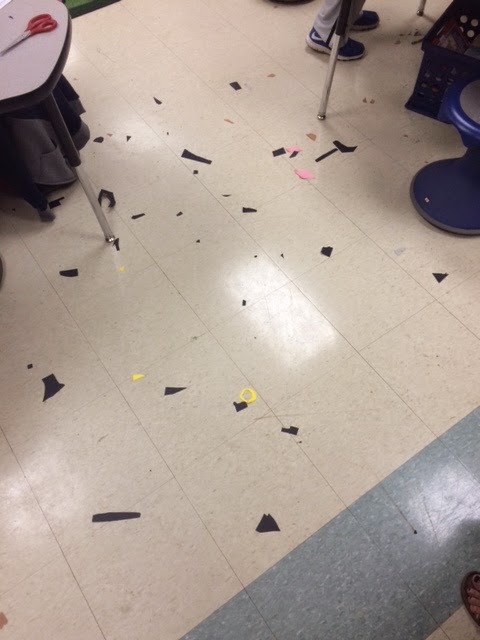 They had total freedom to raid all of my construction paper. Ya'll should see the shelf... It is a disaster... but man the excitement in here was so worth the mess! 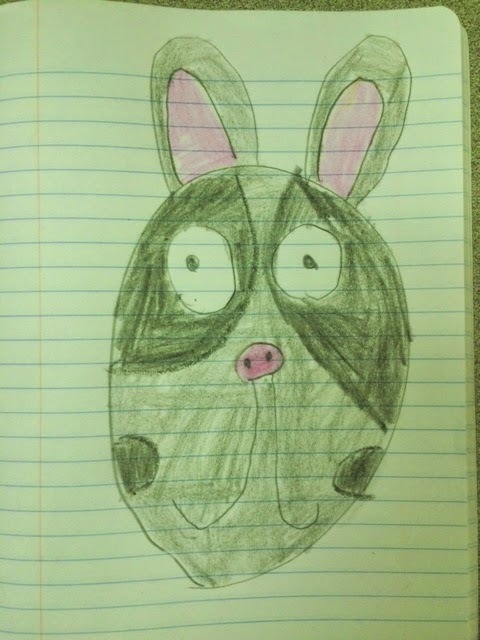 We had such a great time, and the whole time students were discussing the roles of predators and their prey in the wild! I took one shot of all the masks piled up. Be sure to check them out at the bottom. Every bunny mask needs cool ears!!! 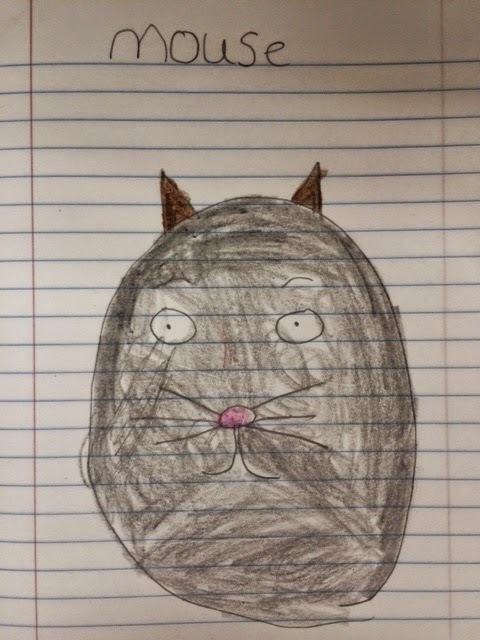 Look how this student made the eyes look just like what she drew! 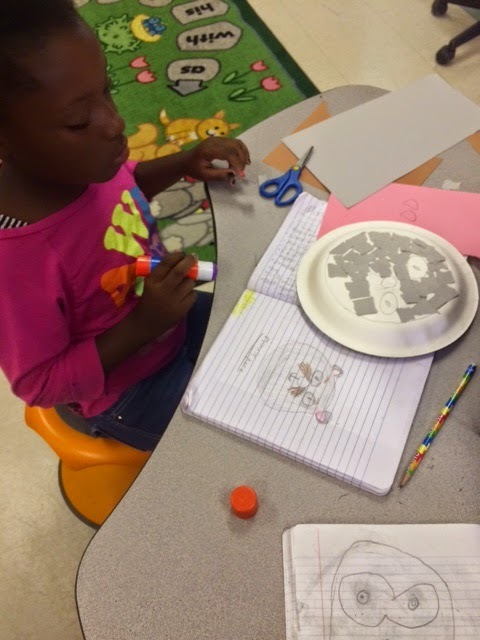 Notice Mikayla using her drawing as a guide to help her create the mask! Deep thinking here! It looked like New Year's confetti had exploded every where. This pic just doesn't do it justice!I could not have been more proud. I made this video for my parents last week. Math homework, "Number of the Day", started today. Use this video to help you tonight and again on Wednesday. I will post the Tuesday/Thursday help video here tomorrow. Have fun!!! If you get stuck, I am just an email away! 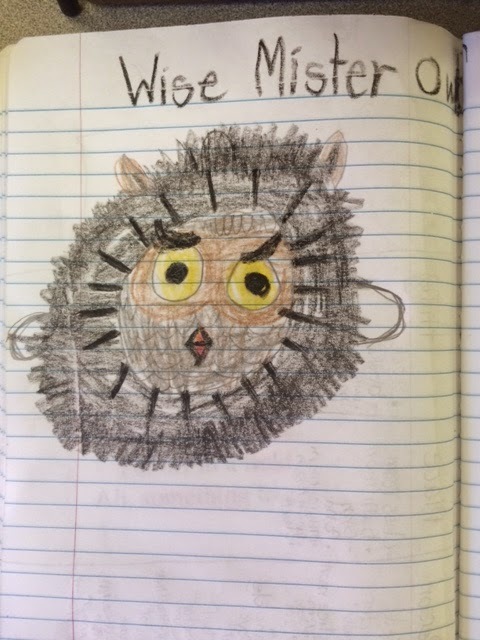 This morning students dug deeper into our study of owls. 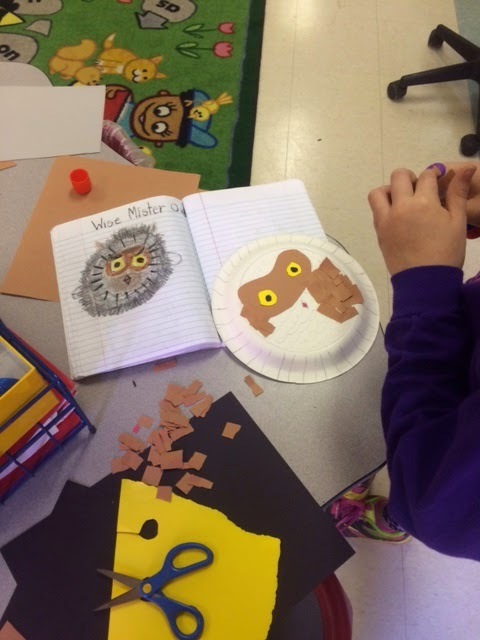 They were able to move past their basic understanding of owls, (ie: They are birds, have feathers, and have beaks.) 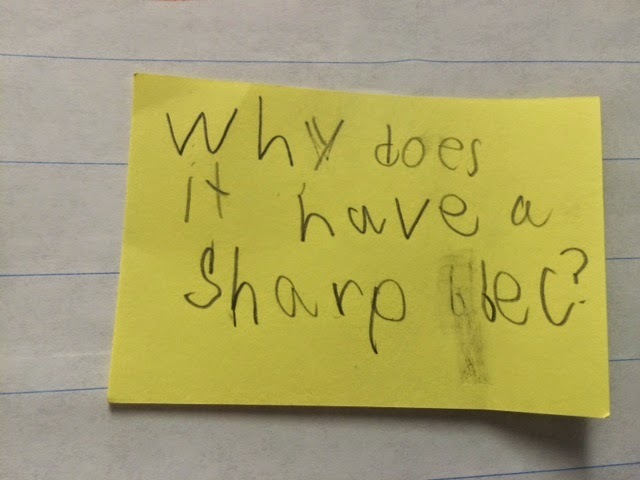 and answer many of their own questions that they asked yesterday in our class discussion. 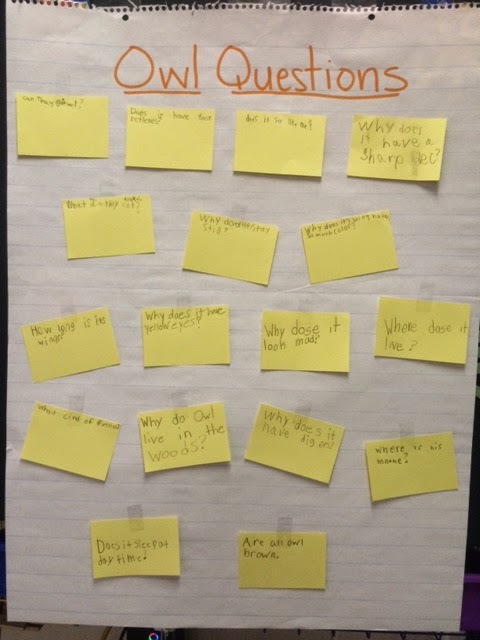 Below you see the chart loaded with questions that students thought about as we observed an owl picture yesterday. Great Horned Owl...this is the picture that prompted so many questions. 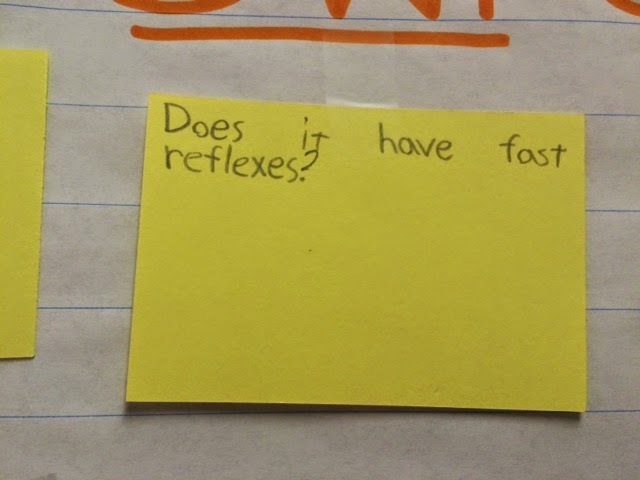 Using a kid friendly search engine, www.kidrex.org, students were able to find answers to some of their questions. 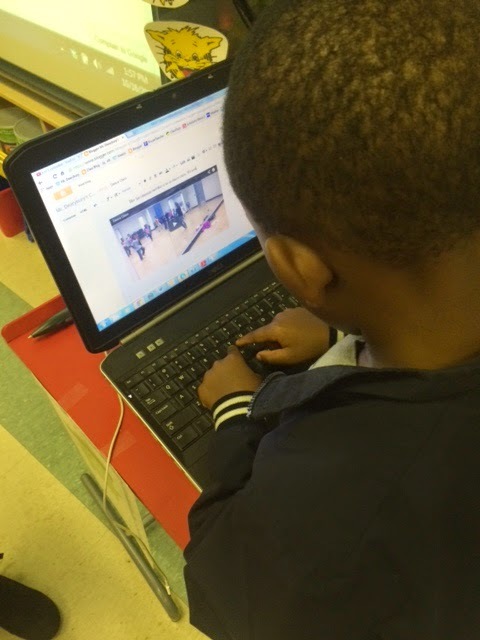 It was so cool to hear their excitement as the became their own teacher and gathered information online. 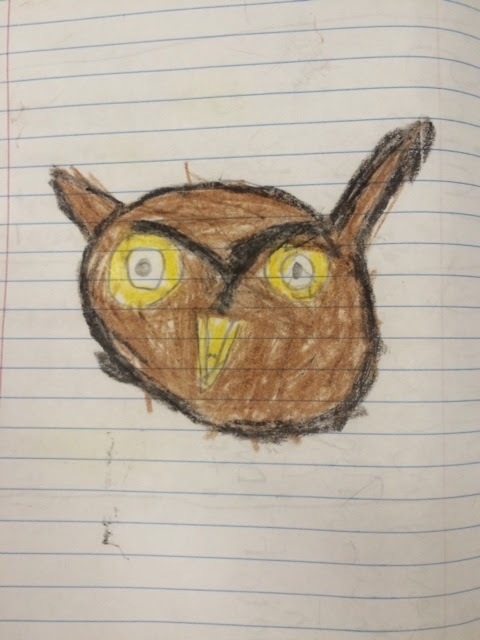 Ethan learned that owls have sharp beaks because they do not have teeth. They use the sharp beak to tear apart their prey! 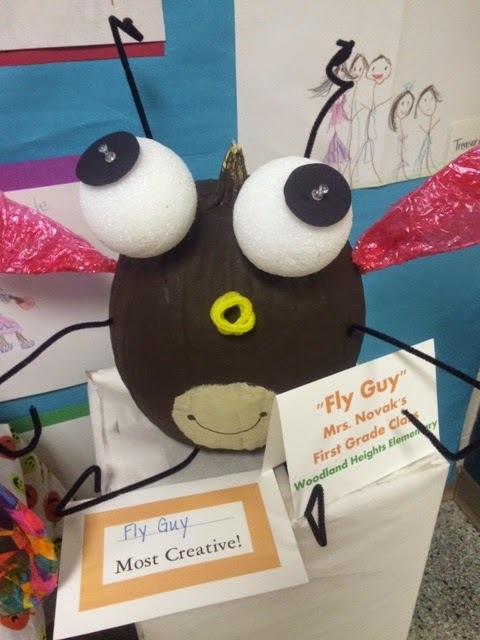 Alex T. learned that they do have fast reflexes, but they move slowly when not flying so that they don't scare away their dinner. 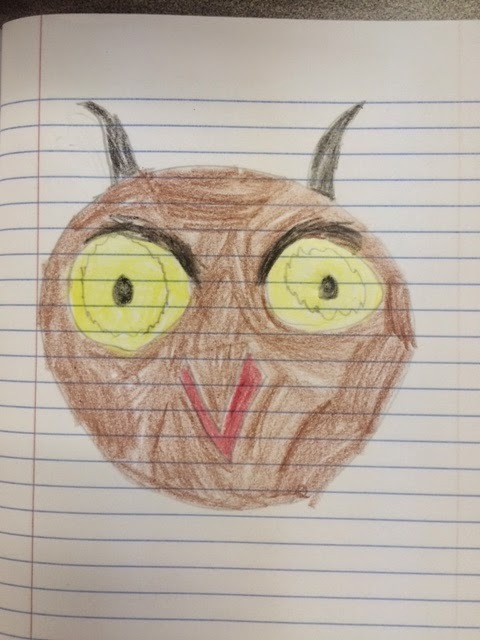 Jordan learned that the Great Horned Owl that we discussed yesterday in class does not have "big ears" after all. He has feathers on top of his head that make him look like he has ears or " horns". Thus, he is called the Great Horned Owl. 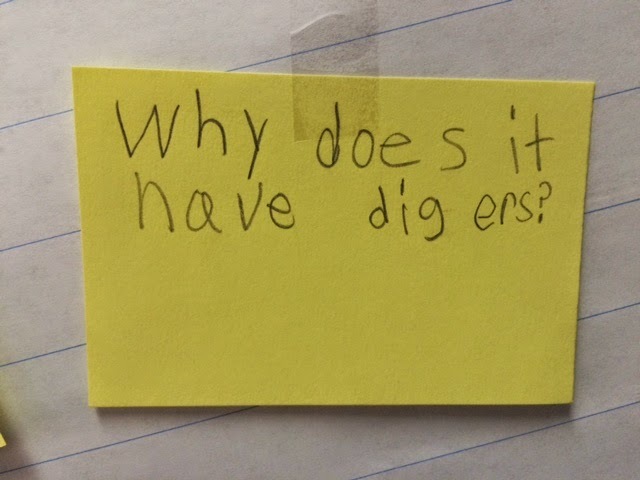 After several days of learning, investigating, and researching, students will "go public" with their findings. 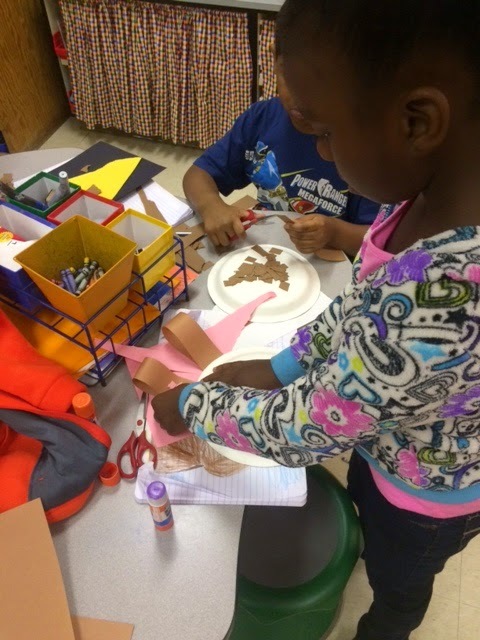 They will create posters, sculptures, iMovies, puppet shows, etc. 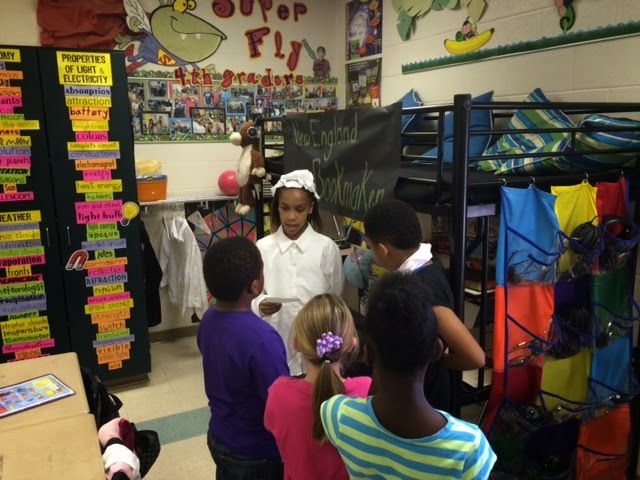 to share their learning with the class! 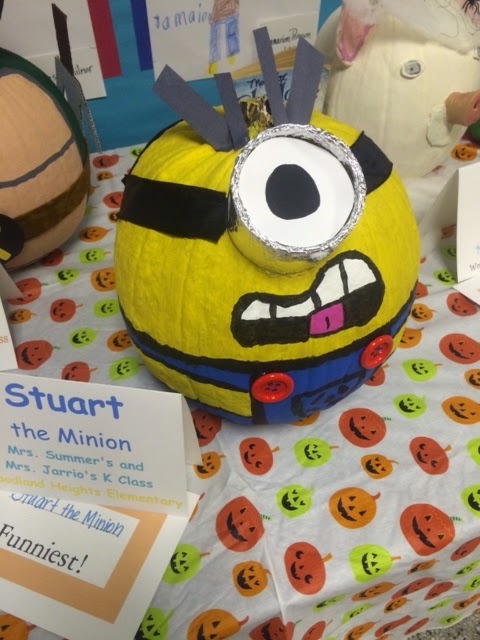 Every year Fuddrucker's brings pumpkins to our school and challenges teachers to decorate the best one. This was my first year jumping into this contest... well... I jumped in one other year, but there was a catastrophe!!! Click here to read about that! The reason I don't usually participate is because I always wayyyy over think the process. I want my pumpkin to be immaculate, and it usually turns out mediocre at best. 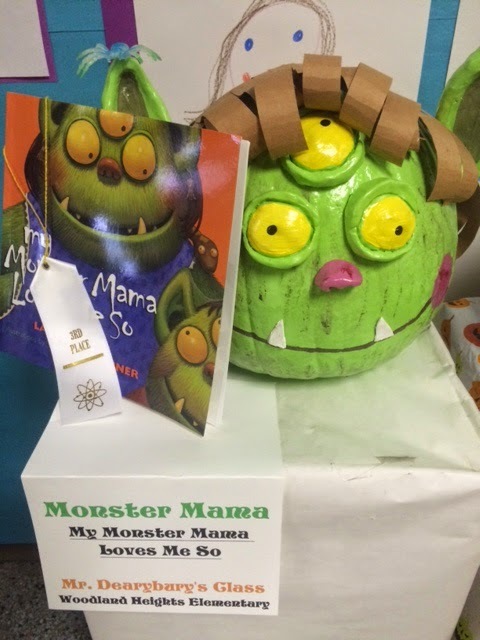 This year, I decided to have fun and not worry about it, and look what happened... We place third in the competition! I could not believe it! We even get cookies from Fuddrucker's as a reward for our hard work. 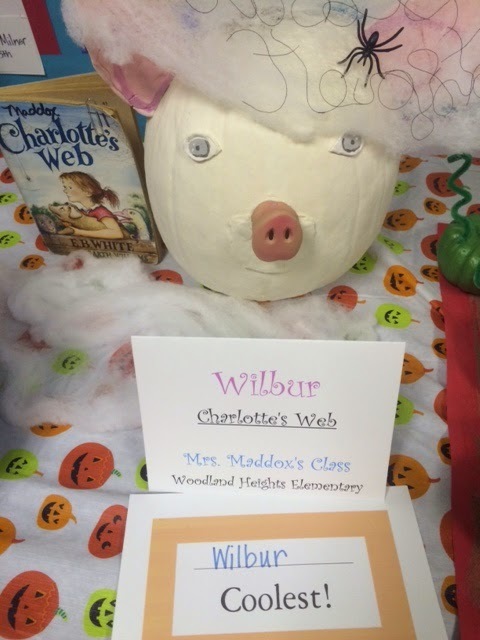 Fuddrucker's will pick up all the creative pumpkins and have them on display in the restaurant between now and Halloween. Be sure to stop by and see them in person! Just in case you are wondering...the eyes, ears, nose, and teeth are made from Sculpey, a modeling clay that you bake in the oven. So glad I learned about this stuff at a workshop this summer! The hair is just curled construction paper, and the paint is just your basic acrylic paint! 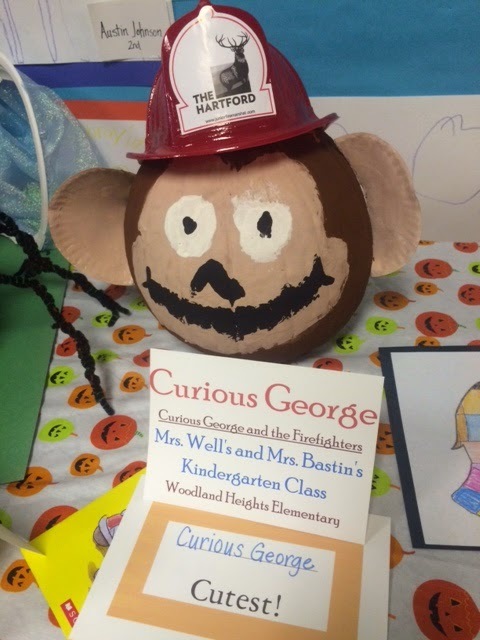 Maybe you can make your own artsy pumpkin at home. Anyone who does and emails me a pic will definitely get their own blog post!!! You can see the incredible competition below. 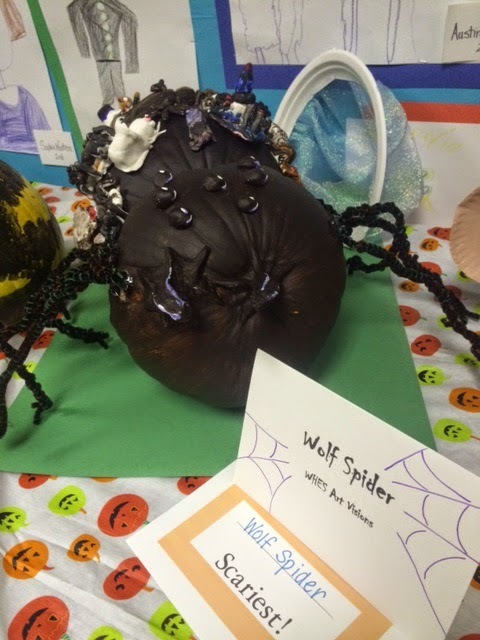 Great job to all the classes that participated! 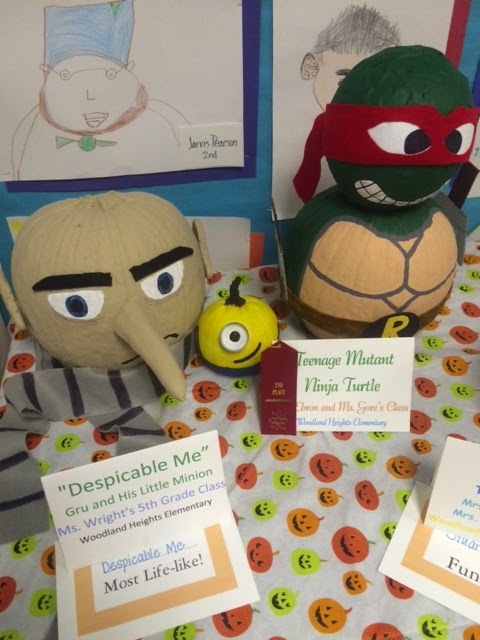 The Teenage Mutant Ninja Turtle was 2nd place. 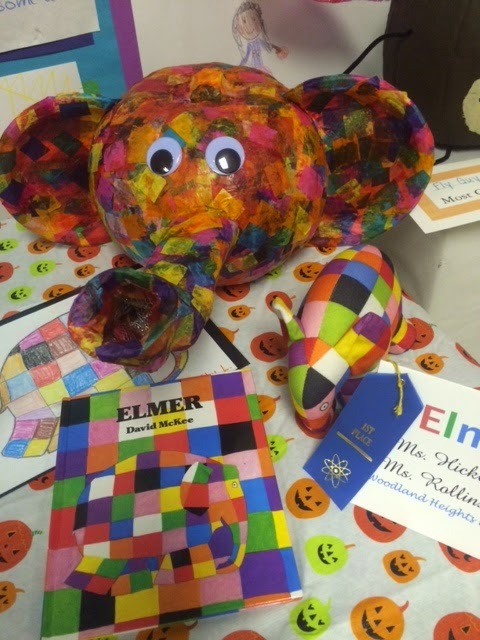 Elmer the Elephant won top honors!!! This is great! 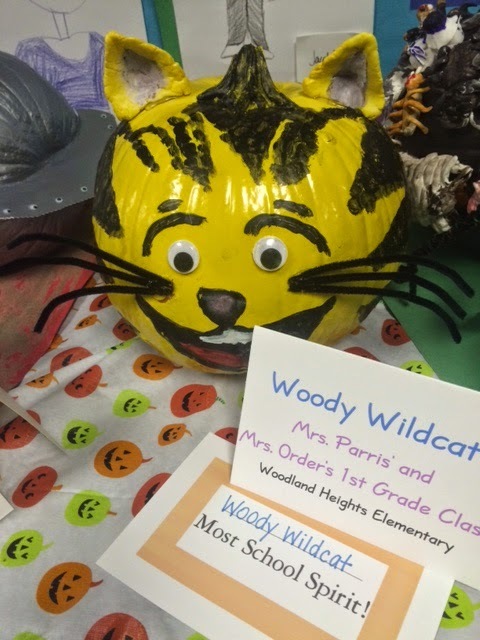 Good job Ms. Hicklin and Ms. Rollins!